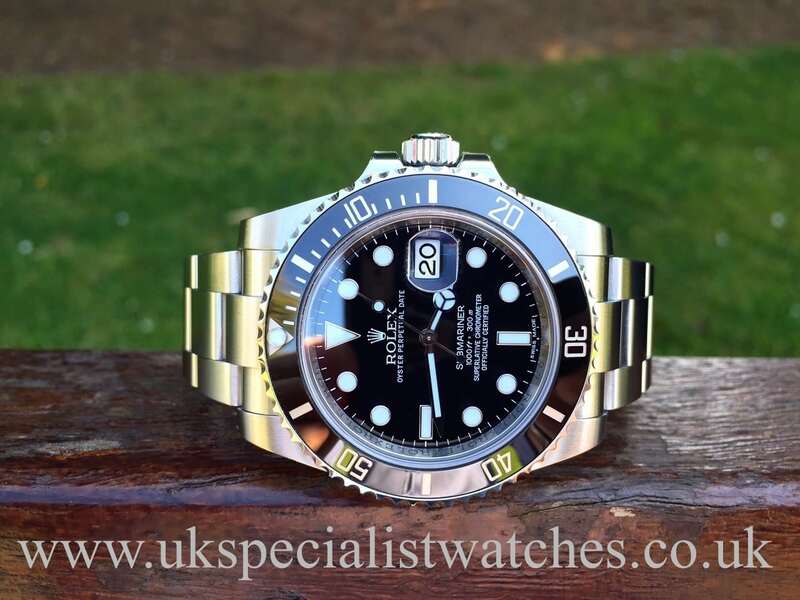 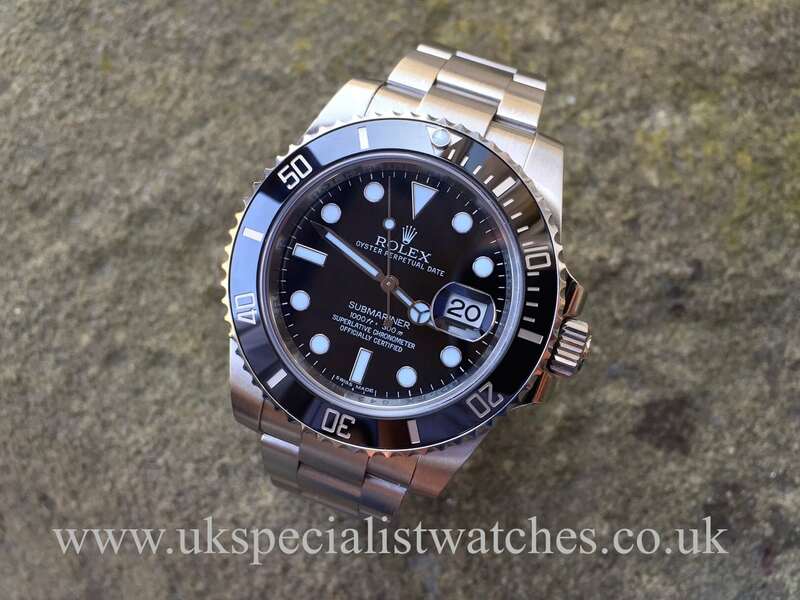 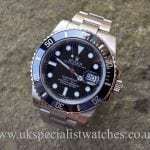 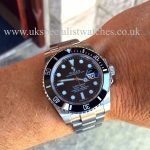 The Rolex Submariner has got to be one of the most popular divers watches ever made. 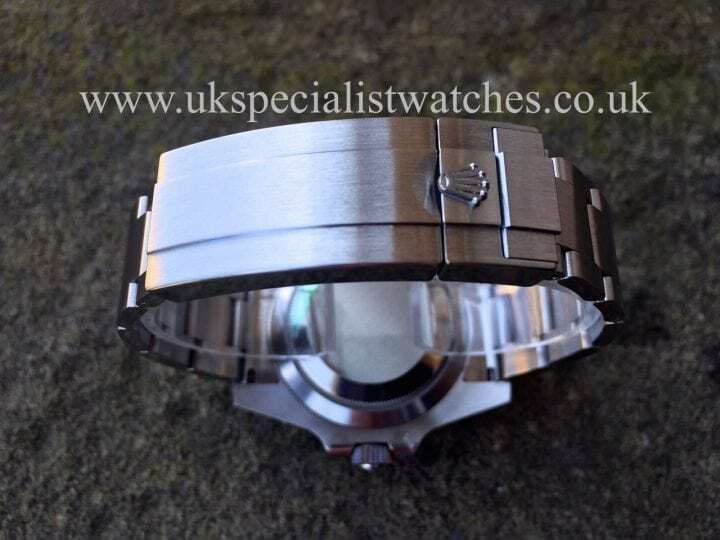 This new model still retains its 40mm stainless steel case that appears larger due to its thicker lugs. 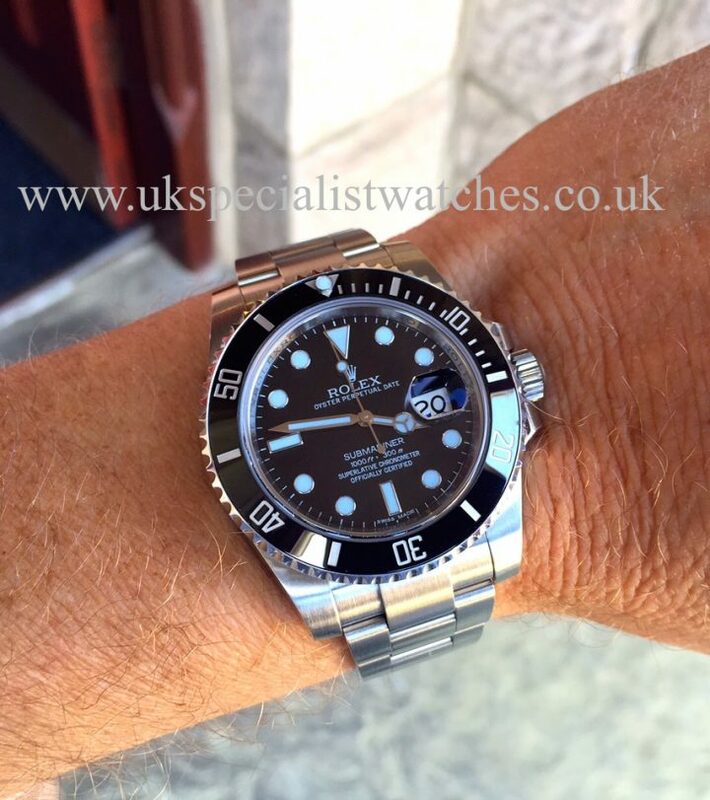 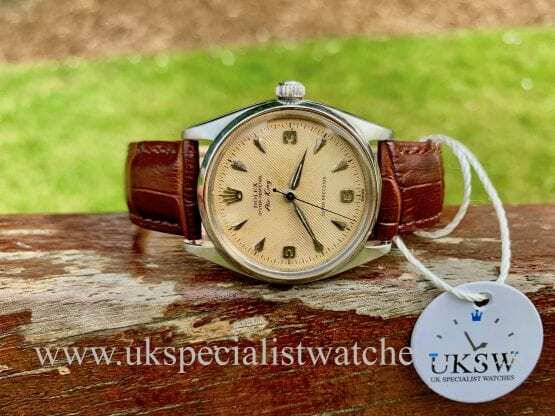 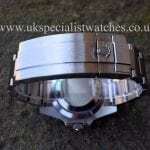 Scratch proof ceramic bezel was also added and the Rolex movement was tweaked & fitted with a upgraded hairspring. 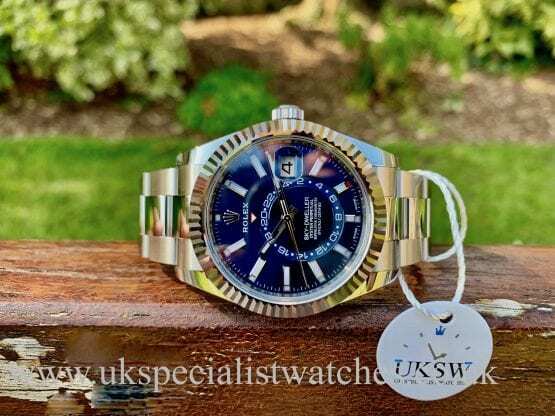 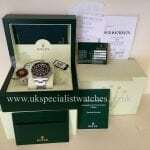 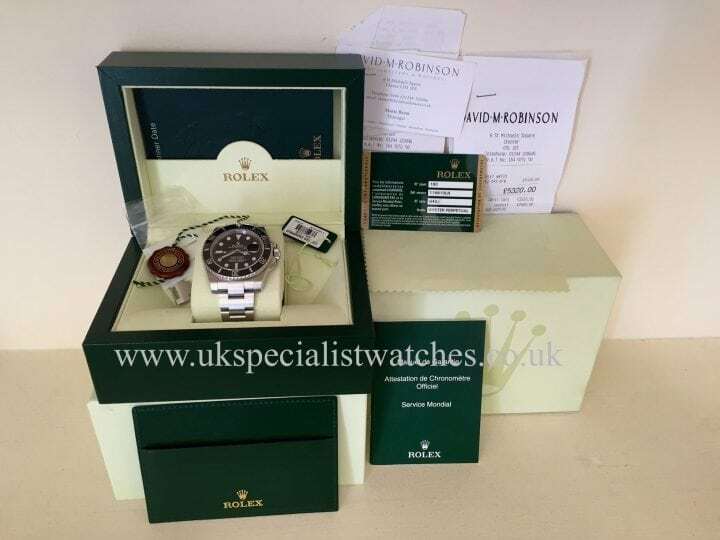 Our watch comes complete with Rolex boxes, new style warranty card, swing tags, bezel cover, instructions booklet and original purchase receipt. 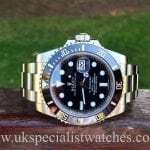 UK supplied 20th Dec 2011.